1. Extra virgin olive oil is considered unrefined and of the highest quality of all the grades of olive oil. To meet the extra-virgin standards, the olive oil must be left untreated by chemicals or heat which helps it to retain its flavour. 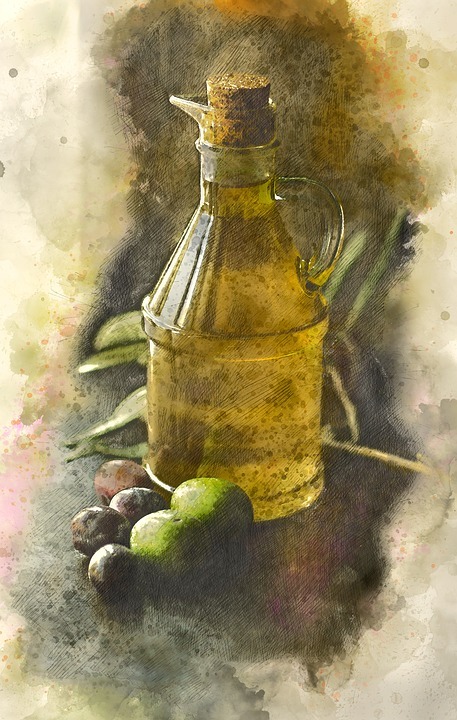 Also, extra-virgin olive oils must contain no more than one percent of oleic acid, which contributes to the stronger taste and richer colour of the oil. 2. A mainstay of the Mediterranean diet for centuries, there is hardly an Italian, Greek, or Spanish dish considered complete without it. 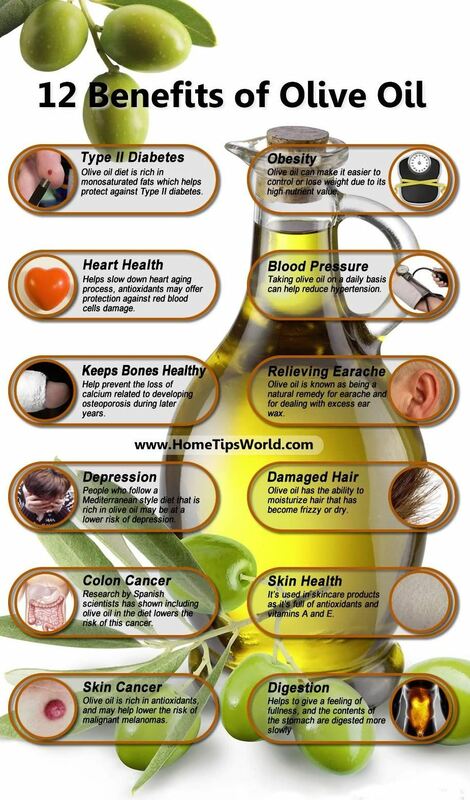 Beyond that olive oil is touted as a cure-all for the body, being relatively low in saturated fat, it has become a boon for those watching cholesterol levels and its even been touted as dermatological marvel because of its anti-inflammatory properties that can soothe dermatitis. 3. Olives stimulate the digestive process, making them an ideal natural appetiser that increases production of gastric juices and aids digestion. 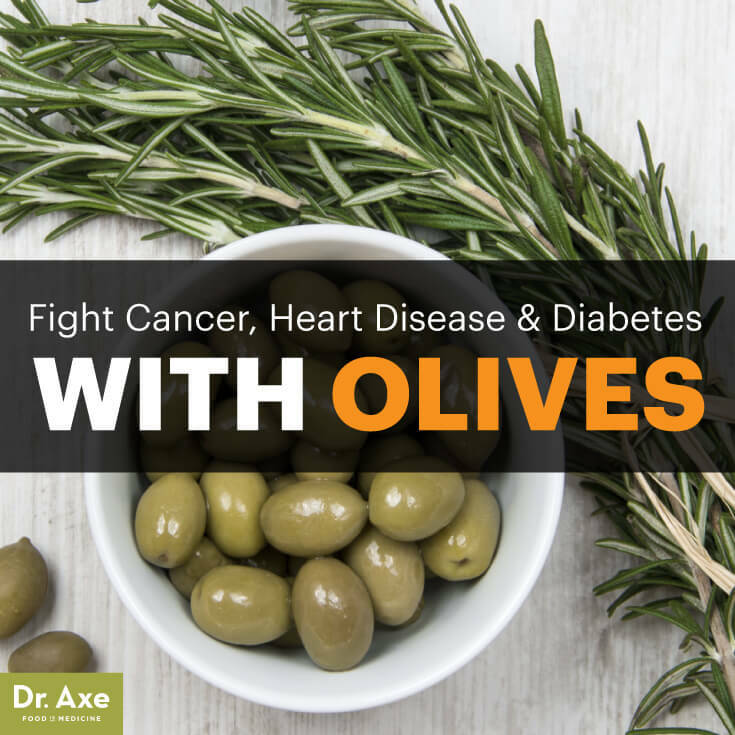 The ingestion of olives also facilitates the emptying of the gallbladder, making it useful in combating diseases that can affect this vital digestive organ. 4. While some olives can be eaten right off of the tree, most sold commercially have to be processed in order to reduce their intrinsic bitterness. Processing methods vary with the olive variety, region where they are cultivated, and the desired taste, texture and colour. 6. 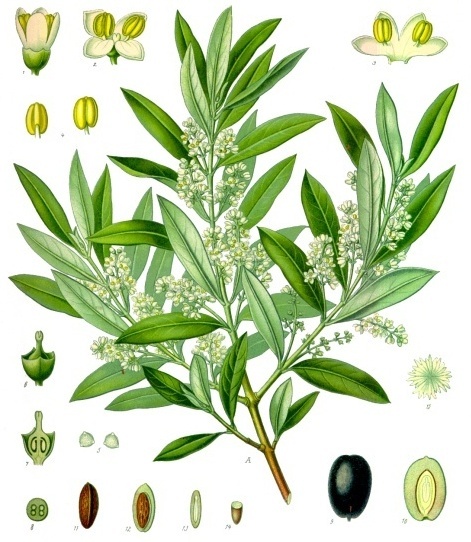 The colour of an olive is not necessarily related to its state of maturity. 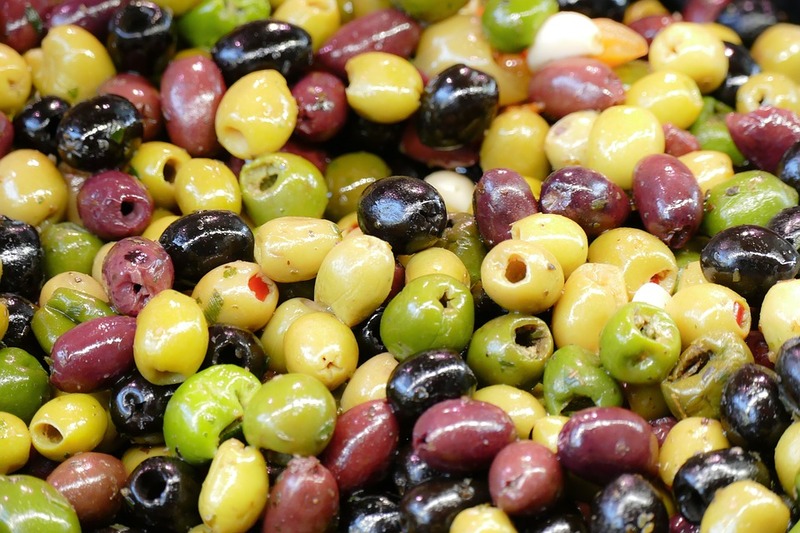 Many olives start off green and turn black when fully ripe, others start off green and remain green when fully ripe, while others start black and remain black. 7. 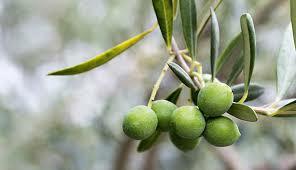 Typically green in colour, olives picked in an unripe state can be lye-cured, water cured or brine cured. Each of the treatments can affect the colour and composition of the olives in a number of different ways. 8. The worldwide olive crop, the majority of which comes from California, are harvested from late September to mid-November. 9. 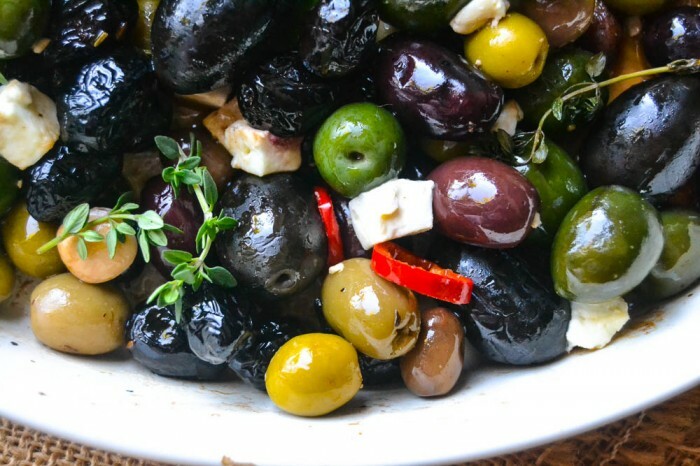 Greek-style black olives, Spanish-style green olives, Kalamata-style olives, and many different methods of olive preparation can provide us with valuable amounts of many different antioxidant and anti-inflammatory nutrients. 10. 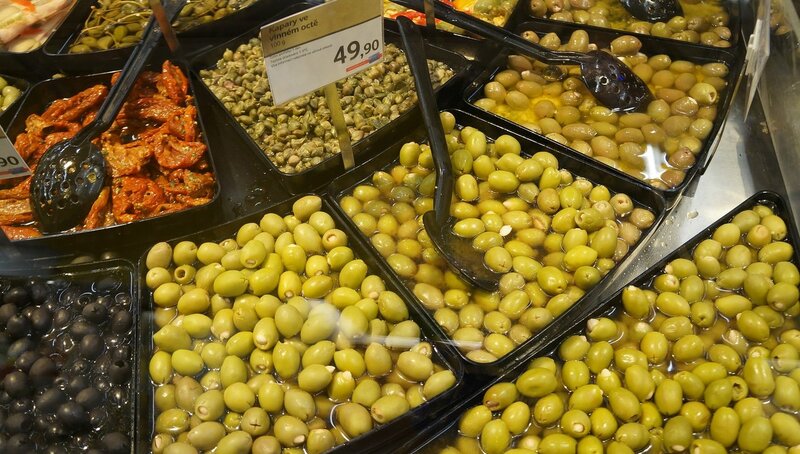 A bowl of olives is full of vitamins and minerals. They also contain significant amounts of provitamin A (carotene) and vitamins B and E. Calcium is the most abundant mineral but they also have considerable amounts of potassium, iron and phosphorus. The sodium content comes from the salt in the brine that is added to them while they soak. This entry was posted in European Cuisine. Bookmark the permalink.